Behind Mightifier lie several owner-startups but the core app development team consists of five people. Pictured are Mightifier’s founders Kimmo Timonen (left) and Mervi Pänkäläinen (right). The only education sector business accelerator in the Nordic countries, Xedu, combines the best of Finnish expertise, first-class education and the startup field’s inventive technology know-how. 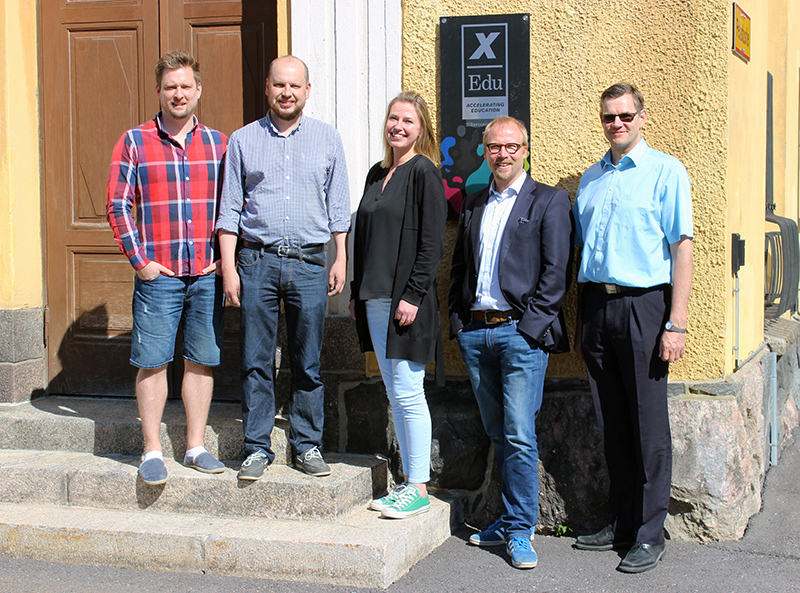 Xedu, an education sector accelerator based in Finland’s capital Helsinki has only been up and running for a little over six months but it is already on its way out into the world: In May, the company concluded a co-operation agreement with GSV Labs, one of Silicon Valley’s biggest business accelerators. The agreement will enable the accelerator giant’s startups to make use of Xedu’s services and vice versa. In addition to the Silicon Valley co-operation deals, the Finnish business accelerator has introduced to the world Mightifier that improves the self-esteem of school children and the Seppo tool that encourages students to set foot outdoors. The Mightifier app will be tested in US schools while Seppo has already a large body of users in the Middle East. According to the CEO of Xedu, Antti Korhonen, and its programme director Niko Lindholm, the internationalisation of education technology companies has been impeded by the lack of necessary references as the companies have found it difficult to gain access to schools in order to develop their products. Furthermore, newcomers have found it hard to gain entry to the school sector’s procurement process. xEdu is meeting this challenge with its model that brings schools and startups together. The accelerator is located alongside the University of Helsinki and its premises include training and workshop facilities, as well as designated workrooms for the startups selected for the semester-long accelerator programme. The co-owner of Lentävä Liitutaulu, Tero Kulha, believes that the company will experience considerable growth in the near future. According to Lindholm, the training focuses on a pedagogical approach, the development of business and on technology. After the training, the companies’ products are tested in Finnish schools. According to Korhonen, Xedu has also brought sparring culture, an important element borrowed from the world of game companies, to the education sector. One of Xedu’s promising products is Seppo, developed by Lentävä Liitutaulu, a Finnish startup established in 2012. Seppo is a gamification platform that allows teachers to create games for students. The basis is often a map and the students play the game in teams using their mobile devices while moving around outdoors. “We think it’s kind of silly that schools purchase a whole bunch of mobile devices yet the students just sit with them in classrooms,” says the company’s co-owner Tero Kulha. The platform is used by around 300 schools in Finland. The company is heading abroad, first to the Netherlands and the Arab Emirates and Qatar, where they already have a foot in the door. 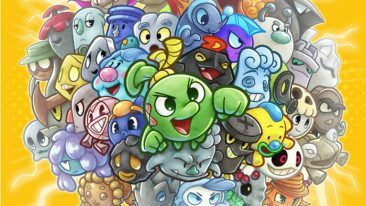 The company has also gamified a fair in Dubai and the first agreements in the Arab Emirates were signed this year. The country also has several schools piloting the Finnish platform. And if that wasn’t enough already, the company is involved in promising negotiations for the gamification of the 2020 Dubai World Expo as well as featuring at the Rio de Janeiro Olympics in 2018. According to Kulha, the company is operating on a rising market as learning environments and their diversification are currently a much-discussed topic. “We believe that a large portion of teaching will move outside the classroom,” he continues. In Kulha’s view, Seppo platform stands out from the competition particularly due to pedagogical insight. Xedu’s goal is to make Finland an education technology hub which creates technology products that provide genuine benefits in teaching. A second rising talent in Xedu’s startup pool is Mightifier. 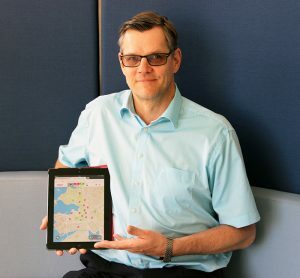 Its CEO Mervi Pänkäläinen and Kimmo Timonen, in charge of digital development, started to develop a mobile application of the same name in summer 2015. The application helps children to identify their classmates’ strengths and to give feedback on them. The company has piloted the service in around a dozen schools in southern Finland and, in September 2016, a trial will also be initiated in schools in Chicago. Talks are also ongoing in Southeast Asia and Europe. The teacher sends the children a request for feedback in-app and allots a fellow pupil for each student to comment on, a target for the feedback. They can comment on a classmate’s character traits such as carefulness and courage. The answers are sent to the teacher who reviews the comments before publishing the feedback on the profile of the feedback recipient. “It is such a great moment for the child when he or she can go see who sent feedback this time,” says Pänkäläinen. According to her, the provider of the feedback is also excited when a comment is published – they see their friend’s face light up. The feedback is saved on the children’s strength profiles. The application also helps teachers tell parents about their child’s strengths and to improve the classroom atmosphere. At the app’s development stage, children’s greatest concern was whether the app could be used to tease others. This type of problem has barely occurred at all – the feedback is visible to one child and the teacher, not to a large group, which is usually what motivates bullies. The personal strength profiles have also helped children to recognise their own strengths and to talk about them. An improvement in feedback skills and the reduction of teasing can be measured, and the founding duo believes that the phenomena will reflect on future study results. “If a third grader can use it without training then we are pretty close to success,” Timonen describes.